Okay, maybe not Ansel Adams level – but close enough. Reading these ebooks has been the single greatest way I’ve improved my landscape photos. When you’re new to landscape photography, it’s easy to believe that practice makes perfect. But when your photos aren’t improving as fast as you want them. And your gear isn’t doing what it should. Something changes. You begin to doubt yourself. Maybe even consider giving up altogether. Before you do that, let’s talk about photographic skill. When was the last time your photos made a huge jump in improvement? Do you believe being good at photography is a gift? 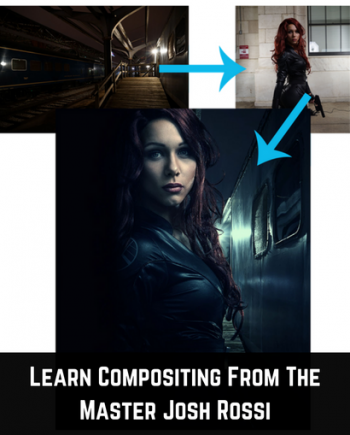 When was the last time you really sat down and studied how to shoot landscape photography? If you don’t remember the last time, you probably think you were born without a gift. You’re also probably real close to calling it quits too. But there’s hope. Ansel Adams didn’t become a genius overnight. 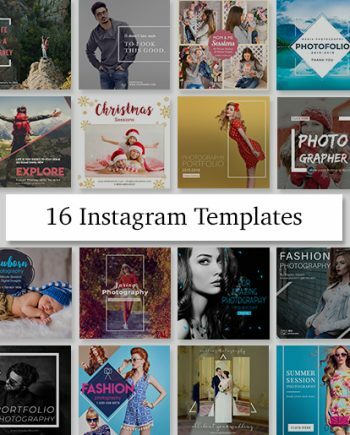 And you can improve your photos by simply reading these ebooks. Right from day one, I saw an immediate improvement in how I photograph at magic hour. I also learned how crucial ND-filters were. Embarrassingly, I also realized that I’ve been shooting myself in the foot by neglecting to add prominent features into my foregrounds. 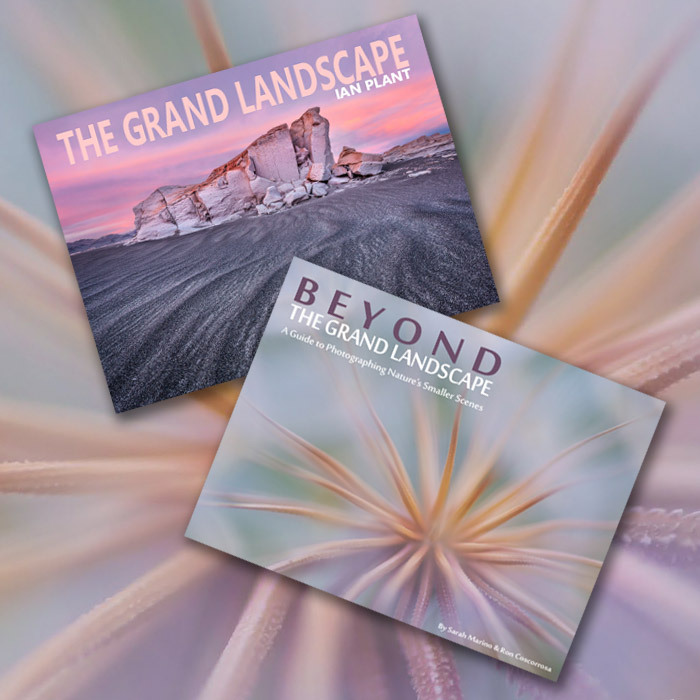 Grand Landscape and Beyond Grand Landscape focus on two different approaches to landscape photography. Grand Landscape tackles the classic, mountain-in-the-distance approach. 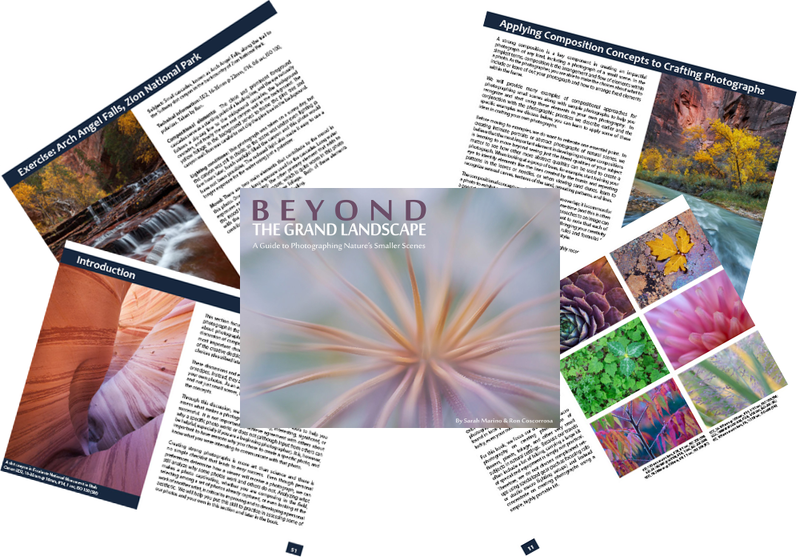 And Beyond Grand Landscape covers the smaller, quieter abstracts and macro-shots. I don’t want to be so demanding, but I really think every beginning or just starting landscape photographer should scroll down immediately and click buy. Seriously. 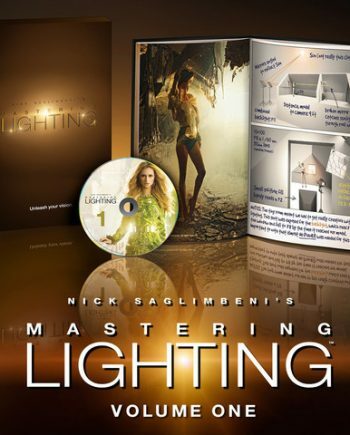 Reading these two ebooks will be the most productive thing you could ever do to getting started and improving. Nothing is too big or too small for a landscape photographer. Because you can see the beauty of expansive vistas as well as the quiet, almost delicate way wind shapes itself in the sky, these ebooks cover both approaches to shooting landscapes. You’ll get the Ansel Adams alongside the Edward Weston. 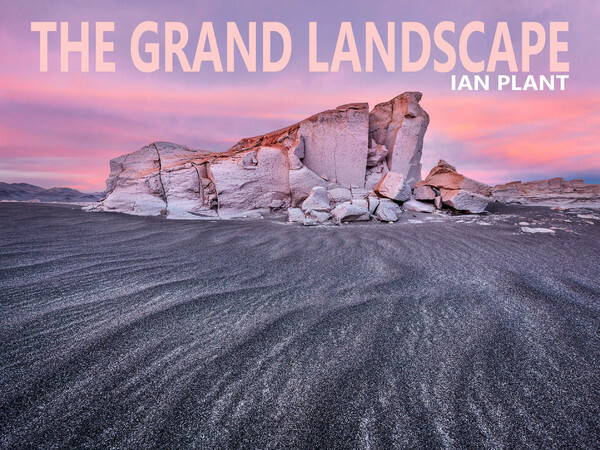 In Grand Landscape, Ian Plant, contributing editor at Popular Photography Magazine and frequent contributor to Outdoor Photographer Magazine, writes out 145 pages to shooting the peaks and the valleys of classic landscape photography. “Of course, there is no secret formula, silver bullet, or paint-by-numbers approach that will make your images rise above the rest. There are, however, some common ingredients to successful landscape photos. 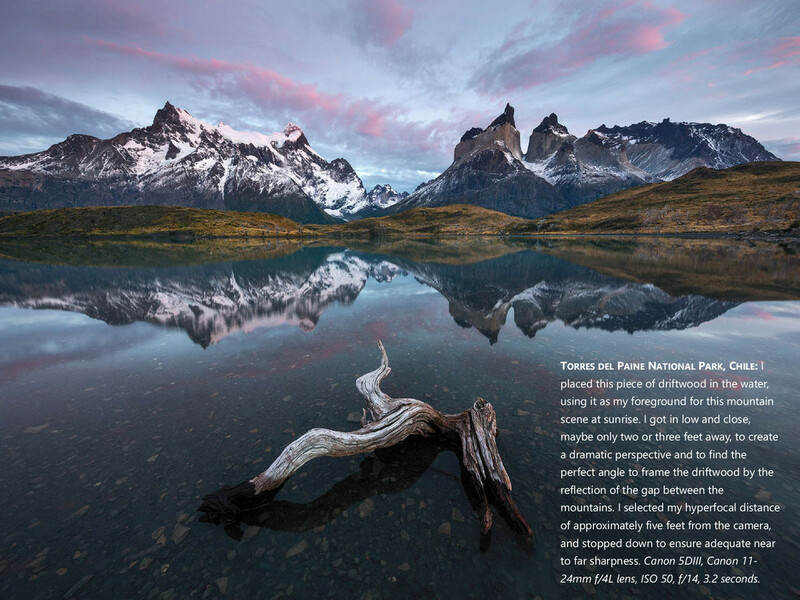 This book is focused primarily on photographic and artistic techniques for shooting sweeping, grand landscape scenes. 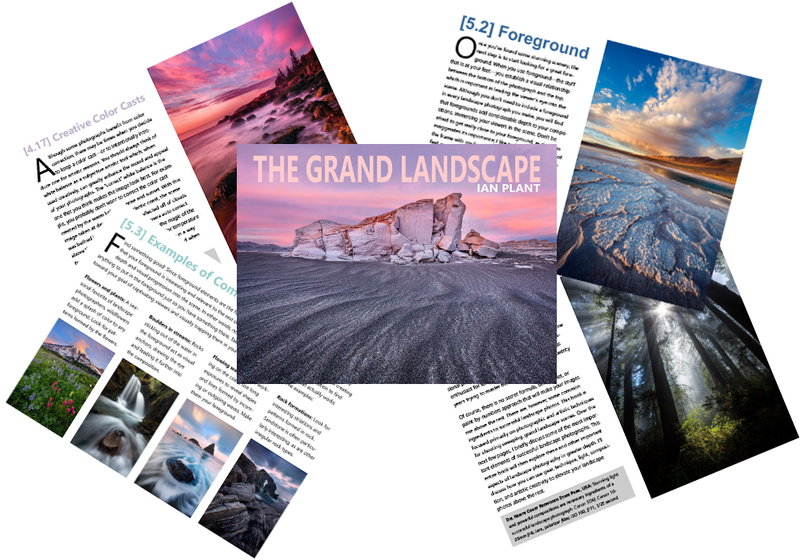 Over the next few pages, I briefly discuss some of the most important elements of successful landscape photographs. 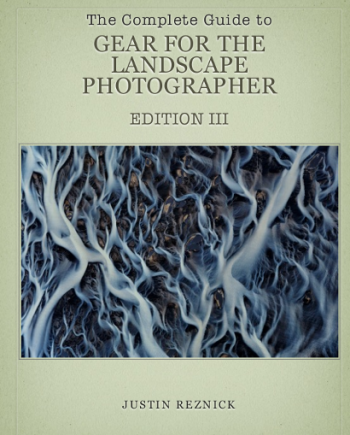 This entire book will then explore these and other important aspects of landscape photography in greater depth. 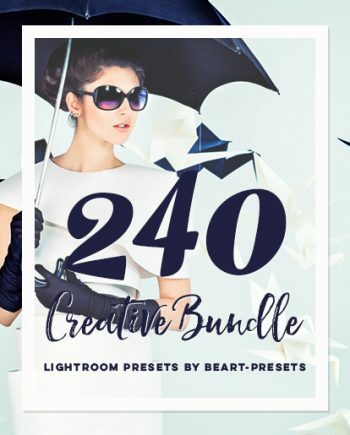 I’ll discuss how you can use gear, technique, light, composition, and artistic creativity to elevate your landscape photos above the rest.” –Ian Plant. You’ll learn a precise walkthrough of finding compelling skies, favorable light and color, dramatic background scenery, and pulling off sharp focus near and far as well as composing with prominent foreground features. 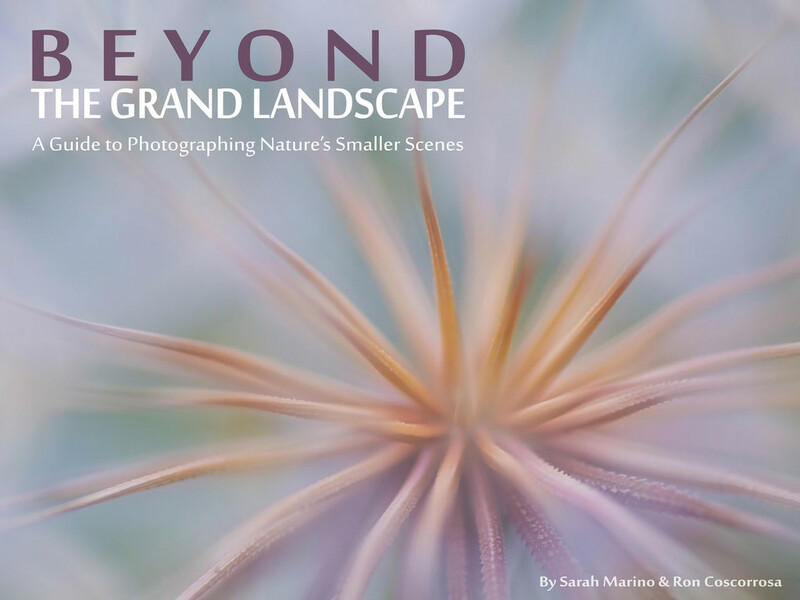 In Beyond the Grand Landscape, Sarah Marino and Ron Coscorrosa, as well many other contributors, show you the opposite end of the landscape spectrum, offering you a contrast to the sweeping landscapes of the classic approach. You’ll learn to see small scenes, find where they hide and how to shoot them, learn how to craft a photograph in the field, including how to use composition, mood, and light, develop key technical skills specific to this approach. You’ll get exercises to help you along the way. 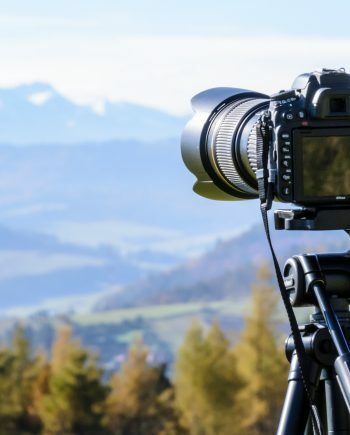 Ready to do your landscape photography homework? Go beyond what’s pretty. Read these ebooks to get on an Ansel Adams level.